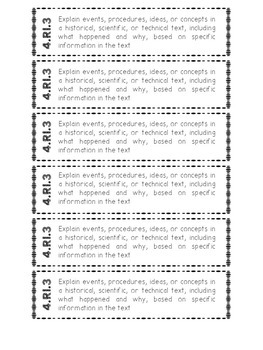 Cut and paste labels for ALL 4th grade ELA CCSS standards. 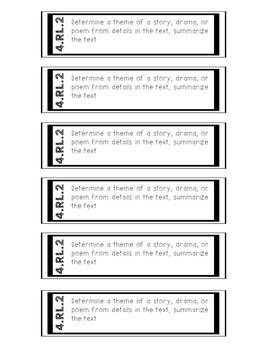 This product includes two complete sets: one with the entire standard typed out and a fill in the blank set, allowing students to fill in key vocabulary. *Save 25% when you buy the bundle! 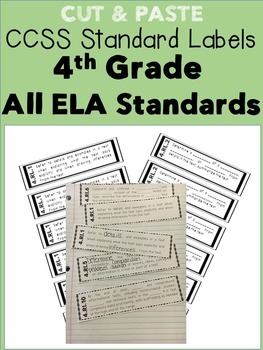 Standards labels can be used for..